Reshet Gimel was established in 1976, marking a change in an international listeners’ habits – part of the global changes in culture and fashion taking place in 70’s of the last century in Europe and Israel as well. The station had been in strict competition over young listeners’ hearts and ears with such stations as Kol ha-Shalom and Galei Zahal. The 90’s had brought with them many new local radio stations that absorbed fare share of Reshet Gimel’s listeners. In 1997 there was an intention to close the station. November 2nd, 1997, Reshet Gimel carried out a “Hebrew Revolution” and started broadcasting solely Israeli music – of all styles and sorts, becoming the only Israeli radio station totally devoted to Israeli music. Decision to change the content completely had drastically improved it’s ratings. 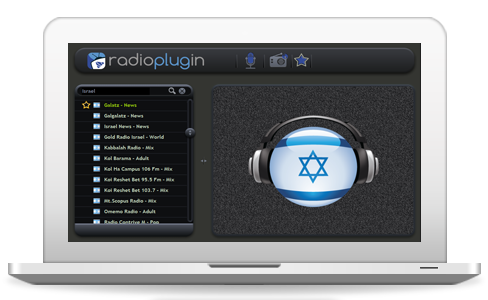 Currently this radio station is dedicated to Israeli music promotion. There are newscasts in Hebrew at the same times as Reshet Bet. Copyright © 2015 Israel Radio All rights reserved.